We should never forget that, first, foremost, and above any sort of aesthetic or philosophical significance we attach to it, wine is an agricultural product. Sometimes we get reminded of that in the most brutal of ways. Over a period of 10 days in late April, early morning temperatures in the Loire — indeed throughout much of France and Germany, and even pockets of Italy and Spain — plunged below freezing. Growers have a trick bag they can reach into to guard against frost — fires, turbines, even turning on the sprinklers — but they’re not foolproof. This year's frosts presented something of a moving target, hitting vineyard areas not normally susceptible one night, then bouncing to another parcel the next. The old methods were largely ineffective. Coming, as they did, several weeks after an early and vigorous budburst, the fallout was catastrophic. From the coastal Pays Nantais inland to Touraine, Anjou and the Center, the loss estimates were staggering: up to 80% in Pouilly. 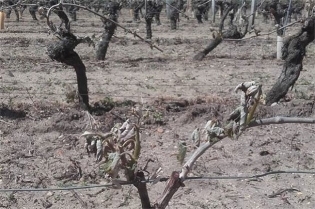 Terrible by any measure, but even worse in the Loire, where late frosts decimated vines last spring as well. Our thoughts go out to the growers and winemakers whose livelihoods have been so grievously impacted. The Loire is a special region whose wines we hold dear. It’s going to take a few years for it to get back on its feet. In the meantime, while you're sipping a glass with us or anywhere else, it's good to bear in mind how much outside the winemaker's control needs to go right for your enjoyment. Great wine is never a given. Cherish it.